M&P Engineering is a market leader in food filling equipment and has been designing, building, servicing and refurbishing fillers since the early 1930’s. The result of these years of experience is a range of robust and easy to maintain machines with a reputation for repeatable accuracy and with reliability second to none. All of our machines are supported by our spares and service department. 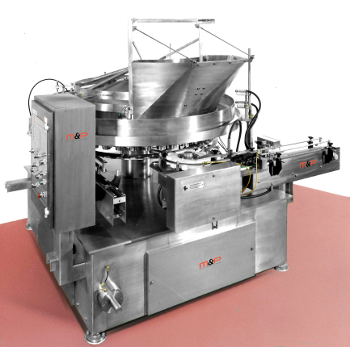 Rotary fillers are capable of higher filing speeds than Inline fillers but the choice of filler type is dependent on many other factors including available space, the product and container type. Fillers may be combined with a sealing or capping system in a Monobloc filler. The M&P range of rotary piston fillers is designed to meet the needs of a variety of filling duties where free flowing liquids or slurries are to be handled. An extensive combination of models and options facilitates the handling of a wide variety of containers. Our engineers will tailor a rotary filler unit to meet the requirements of your product. The M&P range of rotary solids fillers has been designed to handle a wide range of products from free flowing short grain rice to pre-cooked meat pie fillings. An extensive combination of models and options allows the handling of a wide variety of containers. Our engineers will tailor a rotary solids filler to meet the requirements of your product. 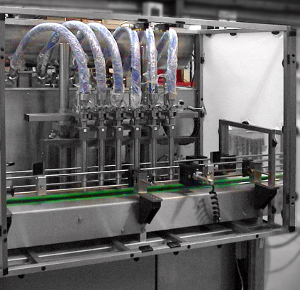 Where the requirement is to fill and seal, M&P Engineering can supply a monobloc filler. The filling and sealing (plastics or foil) is performed ‘en-bloc’ in a single unit. These units are specially designed and built to fulfil the customer requirements but will typically contain a standard rotary filler and incorporate a custom built or third party capper / sealer built onto a single base unit and enclosed in a single guard. 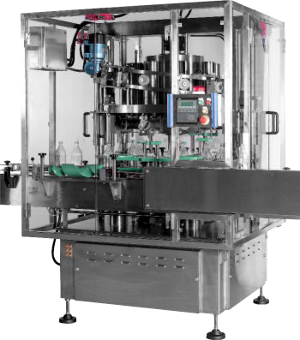 The M&P range of inline fillers is designed to meet the needs of a variety of filling duties where a rotary filler is inappropriate. A wide range of models and options allows the use of a wide variety of containers either as a stand alone unit or over existing conveyor. 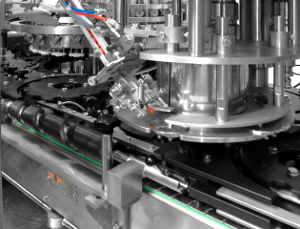 Our engineers will tailor an inline filler system to meet the exact requirements of your product.